On Sunday 1st October the GSPCA held a Fun Family Day at the Mallard Cinema where the GSPCA took over all 4 screens to show a selection of films chosen by the public. 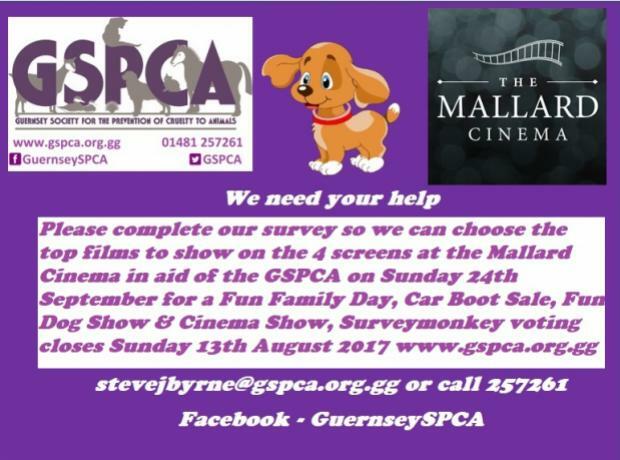 Sadly due to the weather the planned car boot, charity stalls and dog show were sadly cancelled and the GSPCA moved their stall into the foyer of the Mallard Cinema. The films were well attended and included the Secret Life of Pets (Screen 3), Lion King (Screen 2), Chicken Run (Screen 4) and a packed Jungle Bunch (Screen 1). 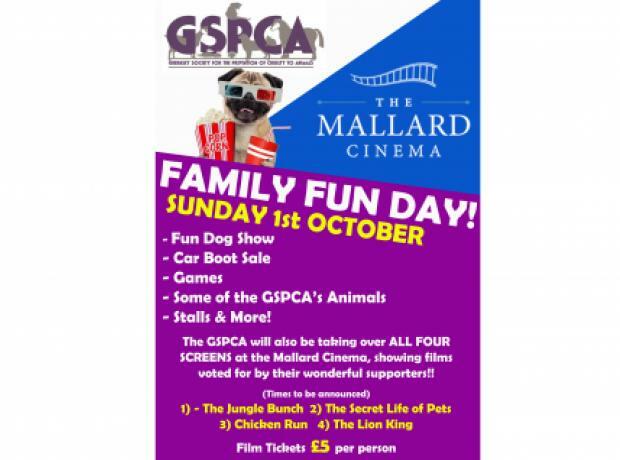 On Sunday 1st October we are holding a Fun Family Day, Car Boot Sale and Fun Dog Show at the Mallard Cinema and through the day the GSPCA takes over all 4 screens to show a selection of films which we can now announce. With plenty of parking and two huge fields there is plenty of room for all and with so much to see and do indoor and out we are looking forward to an exciting day. 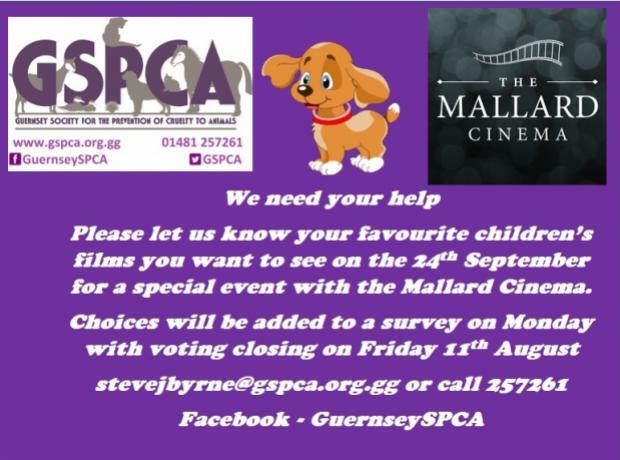 On the 24th September we are holding a Fun Family Day, Car Boot Sale and Fun Dog Show at the Mallard Cinema and through the day the GSPCA takes over all 4 screens to show a selection of films which will be of your choice and we need your help. The films we are aiming to show will be for children and we need you to tell us what films you would like to come along to.